We are widely appreciated for offering highly effective Veterinary Powder. Our customers can also avail Grow- Up Powder and Novamin Powder from us. This array of medicines is formulated using only quality-approved ingredients having high medicinal values. The stringent quality checking done by us to assure a defect-free range of powders to the customers. 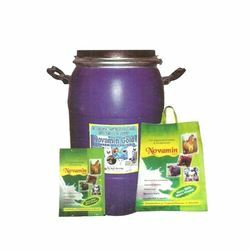 Our powders are known for longer shelf life, accurate formulation and effectiveness. The Veterinary Nutritional Supplements offered by us is available in 1kg, 6kg and 25 kg. Packing. The packet of the medicine depicts all the nutritional values. The formulation of the medicines is done using quality-approved ingredients which are procured from noteworthy vendor base. In addition to this, our powder is checked on the basis of various internationally recommended parameters. Looking for Mineral Mixture Powder ?